Strategic Planning–Are you a Dreamer or a Task Rabbit? I have worked with many business owners who are trapped in day-to-day, keep-the-lights-on-type of tasks. While these individuals are great at keeping their business afloat, they don’t make time for “what if” thinking or strategic planning. In some ways, I completely understand; the process is time consuming and can even feel like a waste of time. Who wants to sit in a meeting and talk about the things that might happen? Unfortunately, doing the same things the same way results in the same results – not what most business owners are seeking. At the other end of the spectrum, there are business leaders who are almost too visionary. What if thinking comes easy for these folks and they probably have surrounded themselves with a group of people who are equally excited about their vision. However, they likely haven’t done a great job of tracking meaningful metrics and may have misaligned resources. It’s not that there is a lack of effort or that the right strategy hasn’t been uncovered in a brainstorming session somewhere along the way – it’s just that the execution isn’t there. I imagine that you can identify, at least in part, with one of these two personae; either the Dreamer, or the Task Rabbit. No matter which one more closely represents your mentality and behaviors, strategic planning is likely a frustrating topic. Good strategic planning is a balance between “what if” thinking and realistic analysis — blind spots for the Task Rabbit and Dreamer, respectively. Task Rabbits need to analyze if their day-to-day efficiency is leading the business in the right direction. Dreamers need to be coached to think about the implementation of their grand visions on a tactical, tangible level. This is a great informal way to gather information from your most valuable assets. Plus, everyone needs at least some time to eat lunch, right? You will obviously get different insights from your senior leaders and your junior staff. Chances are that you are already having strategic conversations with your leadership team, so why not get some feedback from other key members of your team? Make sure your employees know what to expect from the discussion. You may even send them a question or two to think about ahead of the meeting. Here are a few suggestions. What initiatives would you like to see introduced in order to grow the business? Which one of our internal initiatives deserves more operational attention than it is currently receiving? Depending on your organization’s culture, one-on-one meetings may be more effective than group meetings. Regardless of the format, the upside is the possibility for constructive feedback from your most trusted employees and the downside is the cost of overpriced turkey sandwiches – chances are it’s worth it. Visit a different business, ask questions, and listen. I’m not talking about having coffee with a friend to talk shop; I’m talking about actually physically going to another location to see their operations and talk with the leadership about their strategic growth process. And when I say “different,” I am referring mostly to culture and leadership approach. These differences are key to stretching both the Dreamer and the Task Rabbit. 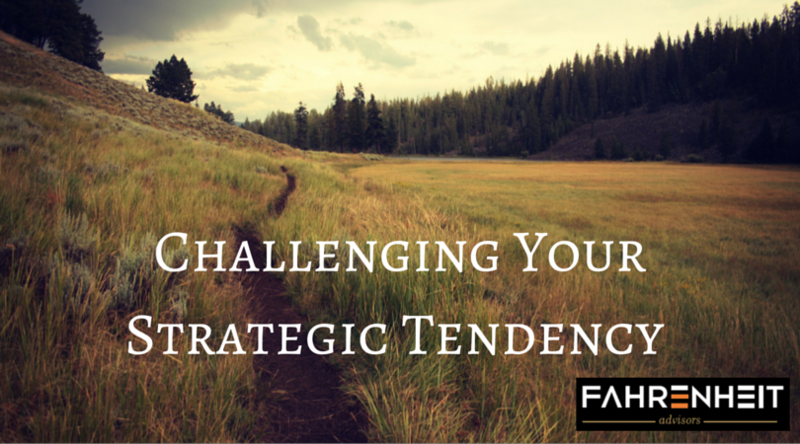 Be prepared to ask questions about their approach to strategic decision making. This exercise may not result in an “ah-ha!” moment that will immediately make all of your problems go away, but it will likely open your eyes to other approaches. File these observations in the “under advisement” folder – you never know how quickly they could be useful. Dreamers will need to be careful about collecting another handful of new ideas that, just like the ones before, won’t get implemented. Instead, Dreamers should work to understand how the leadership team has rolled out their strategy across the organization and look to apply those tactics in their own businesses. Duh, Right? But, have you done it? Do your customers see more value in one of your products or service lines than the others? Where is their business heading and how well is your business aligned to capitalize on the underlying trend? What are their other vendors (your competition) doing that is especially valuable? What is their take on your strategic options? You can probably identify which questions will challenge the Dreamer and which ones will challenge the Task Rabbit. You may be thinking, “I can’t ask those questions to my customers!” The reality is that they are likely the best people to ask. Having open and honest relationships with your customers can be a great way to develop effective growth strategies. Whether you are a Dreamer or a Task Rabbit, taking the time to gather information from your team, your peers, and your customers with the specific goal of informing strategic decisions, can be time well spent. It is important to identify your tendencies and introduce yourself to other approaches. Sure, some of the responses will be more helpful than others, but the costs are minimal and the results could change the course of your business for years to come.